Here’s a story: we had this short seminar at work where they talked about identifying “Your Strengths” leading towards using them to accomplish your goals. From an organisational perspective, the point was that we all have different strengths and if each one of us would focus on theirs, together as a team we will complement each other and achieve much more. On a personal level though, an interesting point was that as an individual we should focus on improving our performance strengths and passion strengths (in other words, the things we are really good at, and the things we really want to do) to become even better at them and excel. This is opposite to the traditional old-school approach where if you’re really good at Maths but not so good in English, you’re advised not to worry about numeracy anymore and focus on your language. This way we are all aligned to become mediocre at everything we do. Unknowingly, humans create a society of average people with lack of shining expertise. Interesting isn’t it. Followed by Honesty, Love and Gratitude. While I was pleased with the acknowledgment of most strengths on my list, regardless of their order, I was really surprised with my survey outcome highlighting: “Your Top Strength is Prudence”. Prudence? What does that even mean? Prudence means you think before you act in that you consider consequences, and you try not to say or do things that you might regret later. You are careful about your choices and do not to take undue risks. Therefore my first reaction was clearly “Man I’m too old, way too careful, not taking any chances, I’m such a boring person, forever trapped in my comfort zone”. 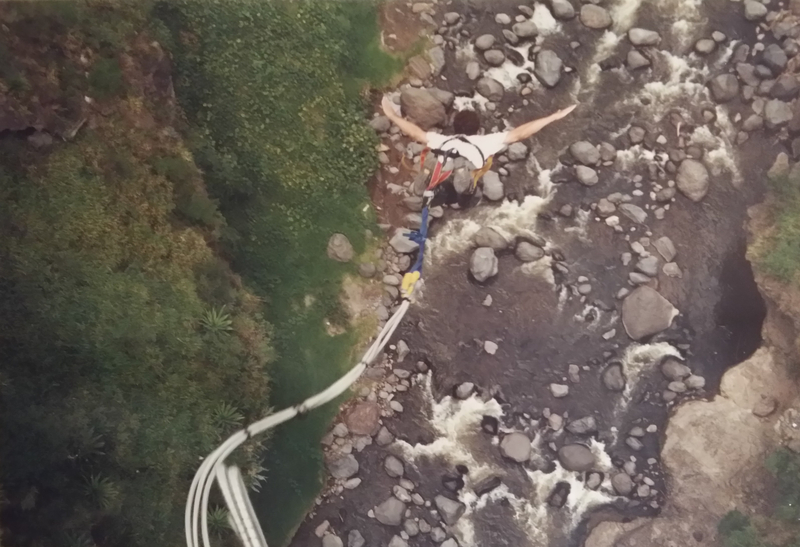 Apparently, a lot had changed since I bungee-jumped off a bridge in Ecuador, South America 20 odd years ago. But seriously, is it really who I am? not expressing my thoughts to others if I think they might not like what I have to say? not taking any chances at all? living a boring and predictable life? What do I want to change in my life? Why is this important? Why do I want this? What will happen if I don’t make these changes? What could my life be like if I do make these changes? What do I do now that I don’t enjoy anymore? What’s slowly killing me inside and I don’t do anything about it? What am I going to regret later for not doing now? What are the things I really want to do but I don’t? Why? How do I change it? Wake up early, eat healthy food, switch to organic food, exercise regularly, keep calm, be positive, go to sleep early and focus on clean sleeping free of technology and interruptions. Being healthy and feeling energetic is the foundation for everything else. Focus on Family, Friends, Love. Spend quality time with your kids while they are young and want to hang out with you. Make new friends. Become closer friends with existing ones. Build close relationships with the people around you, at home, at work, in the community. These are the people you hang around with most of your life. Find a new job. If you’re happy with your current employer it doesn’t mean you have to move on to a completely new place and start all over again. Find a new role in the same workplace. Be confident that they love you enough to support any move you’d be interested in. You are going to add value to the business in anything you do, especially when you do something you love and passionate about. We all need to keep ourselves stimulated. Doing the same things every day is not only boring, but it’s also a silent killer. Same way you should avoid spending too much time in the sun on a hot day, you should stay away from your comfort zone. Attempt new things you always wanted to try but you were afraid of failure. Find where your passion is – once you start looking for it you’ll know when you find it. I’d like to push creativity up the list of my strengths – stop pushing it back, go and explore, make time for it.